This excerpt is from an article published in the April/May 2012 issue of Retail Facility Business Magazine. Compliance with the Americans with Disabilities Act of 1990 (ADA) is more important now than ever before. Not only is lack of compliant ADA parking designations or truncated warning domes, for example, considered a liability which may result in personal injury, but it is also in direct violation of the law. It is a common misconception that all buildings older than 1990 are “grandfathered,” and do not have to comply with the federal requirements of the ADA. This is not true. In fact, all building owners are mandated (as of March 15, 2012) to comply with Title III of the ADA, which specifically requires the removal of any and all barriers to entry in order to guarantee that persons with disabilities are provided accommodations and access equal to the general public into commercial facilities and areas of public accommodation. Building owners, facility managers, and even landlords can be jointly liable for violations including not adhering to “path of travel” standards, incorrectly constructing curb ramps, and excessive slope in ADA parking spaces. Enacted to ensure uniform compliance with standards for the benefit of those with disabilities, the scope of the ADA encompasses everything from the width of doorways and force required to open them to the use of Braille in elevators to assist the visually impaired. Standards for parking lots in particular include an adequate number of accessible parking spaces along with properly designed access aisles and routes to the entrance for the disabled. Ramps and sloped areas must be constructed at accessible entrances. And, detectable warnings on pathways should be present. Signs and accessory markings must also be in place to designate all accessible areas. Striping a parking lot, therefore, is important not only for aesthetics, but it is also imperative for ADA compliance. What can you do? Don’t get caught on a “slippery slope” when it comes to your parking lots. If you own or manage properties that fit into either category—public accommodation or commercial facility—you are responsible for ensuring that your parking lots comply with the ADA regulations. Examples of public accommodations include all retail and specialty stores, hotels, restaurants, hospitals, entertainment complexes, and sporting venues. Commercial facilities include office buildings, factories, and warehouses to name a few. To ensure that your parking lots meet the guidelines, obtain copies of your town, village, city and/or county and state ADA requirements and give them to your preferred parking lot maintenance contractor. Hire a contractor with ADA expertise and, before any procedures begin, make it understood that your parking lot must comply with the standards set forth in the ADA. It is also a good idea to be on site during work in progress and to personally conduct a post-job inspection. 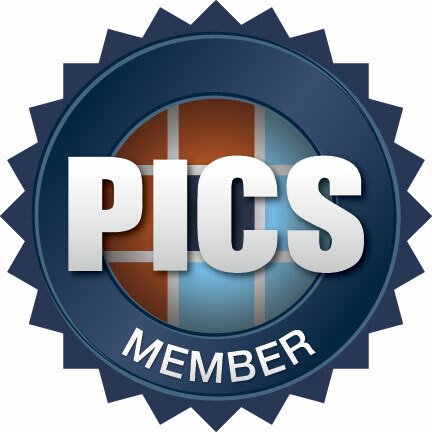 If you cannot be on site, partner with a parking lot maintenance contractor that employs certified project managers to serve as your eyes and ears. What should be expected of your contractor? A reputable striping contractor should consult available blueprints to match the plans to that of the actual site, paying close attention to building codes and determining whether existing ADA areas are in need of improvement as well as noting the location of islands, light poles, or other permanent structures. If no blueprints are available, your contractor can begin by evaluating the area of the parking lot and the number of entrances to the facility. Guidelines for the overall number of stalls, ADA parking, and fire lane requirements are provided by the village or county office. ADA guidelines for size and number of stalls are determined by the state, but each village has specific requirements regarding layout and color of markings. After reviewing blueprints and village or county guidelines, parking configuration (or reconfiguration as the case may be) is then determined. A decision to proceed with straight-in or angled parking should be based, in part, on how many ADA spaces are required for a particular parking lot. Straight-in parking is the most efficient use of space as it allows two-way traffic flow and takes fewer square feet per stall, permitting more parking. However, this layout requires a minimum of 24 feet of road space. For smaller parking lots, angled parking is recommended. This configuration is easier for cars to maneuver in and out of stalls and requires as little as 16 feet of road space. With the reduction in road size, an additional row of parking may be possible. Proper signs should be installed and pavement accessory markings used to indicate reserved parking for the disabled. Signs shall include the International Symbol of Accessibility and shall be completely unobstructed. There are a wide variety of accessory markings to accommodate various special needs. They can be painted in a multitude of colors to help distinguish them from other markings. In addition to striping, concrete repair or construction may need to occur in order to make your parking lot safe for people with disabilities. Potential procedures include constructing curb ramps and sloped areas at accessible entrances and installing truncated domes on surfaces to warn of pathway hazards or changes in grade. Ultimately, it is up to you—the building owner or facility manager—to make sure your parking lots conform to the standards set forth in the ADA. By partnering with a parking lot maintenance contractor with proven expertise in ADA Compliance, you can ensure that your portfolio of properties meets all the necessary guidelines and looks remarkable while doing so! This excerpt is from an article written by C.B. 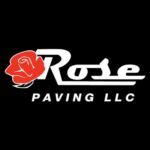 Kuzlik, senior vice president of Rose Paving Company. First published in Retail Facility Business Magazine in April/May 2012.